Patrice McGuire is a seasoned Human Resources and Training professional with over 20 years of experience in these areas. For the past 11 years Patrice has worked as a trainer, consultant and business partner for many organizations. Participants value Patrice’s straight forward style and ability to take complex ideas and make them simple and actionable. Her one-on-one coaching has encouraged, challenged, and brought out the best in each individual. She has provided effective training workshops in a variety of industries including financial services, banking, manufacturing, healthcare, retail, and call center environments. In these diverse environments she has designed and customized training programs, leadership development and coaching programs, team training initiatives, communication skills training, and personal accountability programs. 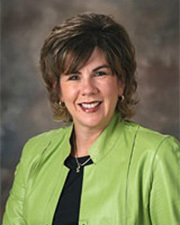 Patrice received her BBA in Human Resource Management from the University of Wisconsin – Oshkosh. She is Past President for the Southeastern Wisconsin Chapter of the American Society for Training and Development. She is currently a faculty member for the Graduate School of Banking and has been an instructor for The American Institute of Banking. Clients served include: Super Steel, Harley Davidson, Chrysler Corporation, Bostik, Briggs and Stratton, and Wacker Corporation. Certifications include: Genuine Coaching, Crucial Conversations (Master Trainer) and Influencer with VitalSmarts, the Oz Principle with Partners in Leadership, QBQ! with QBQ!/John Miller.